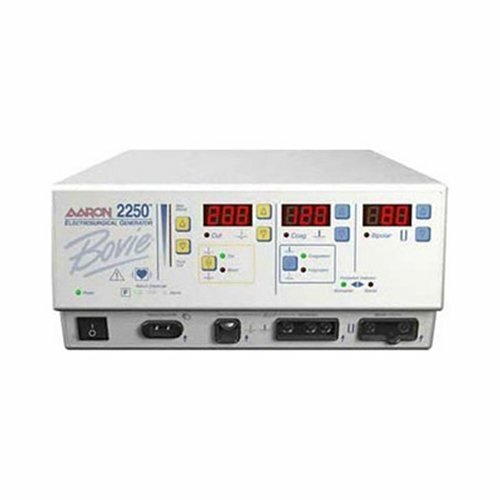 The Aaron 2250 is a multipurpose electrosurgical generator for use in the modern operating room and surgicenter. It features both monopolar and bipolar functions to satisfy all of your surgical demands with safety, flexibility, reliability, and convenience. The 2250 Electrosurgical Generator is incorporated with automatic safety systems including self-test circuits, audible tones, discreet outputs, isolated circuitry, and Bovie NEM (neutral electrode monitoring).